The joints on most Best BBQ lists seem mostly to be located in North Carolina or Texas. Time, however, compelled us to eschew the tried-and-true barbecue trails. 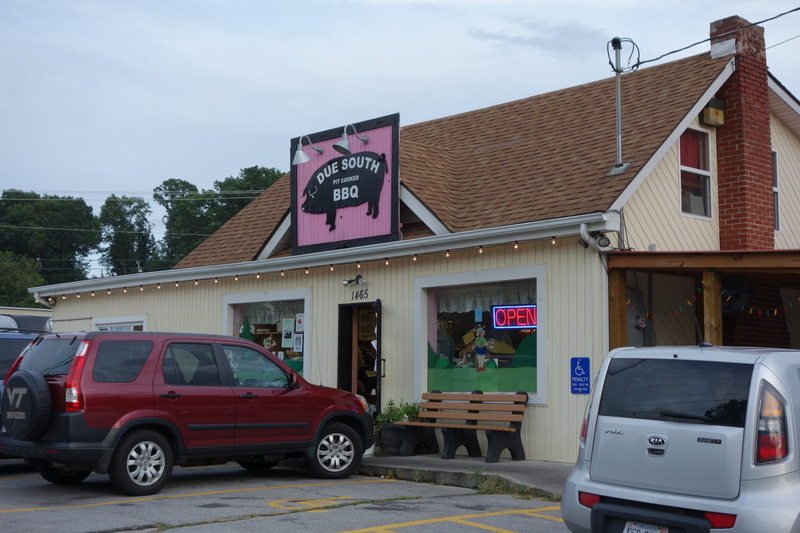 We boldly went where relatively few BBQ lovers have explored before. Racing three hours down the freeway to the Tennessee-Virginia border, we engaged in some intense guerrilla barbecue action. Four barbecue joints over ten hours and 460 miles. Afterward, the Englishman among us was appalled at the mileage, but he is a passionate BBQ hound as well as a good egg. The American expatriate and I, in contrast, once drove forty-five miles for a good taco, so 500 miles was a walk in the park to us. 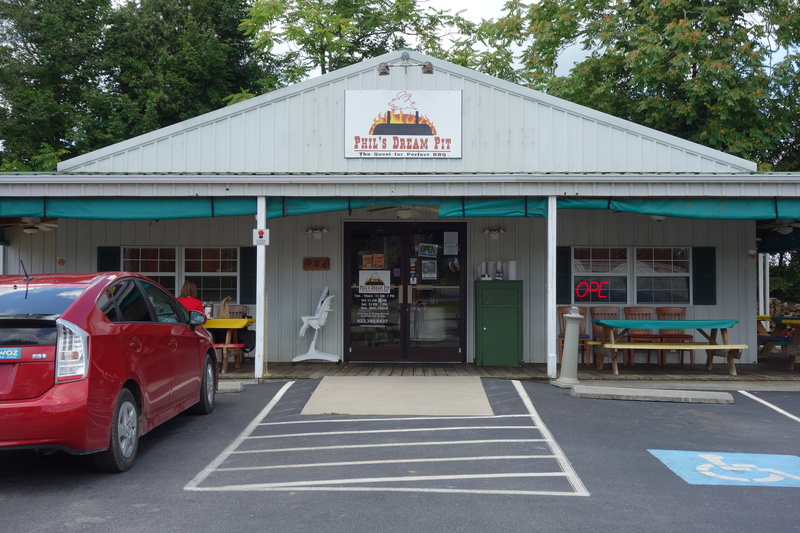 Our first stop was Phil’s Dream Pit in Kingsport, Tennessee. Great ribs with a wonderful rub, good sauce. The owner’s wife sat down with us and told us the story of how she and Phil gave up their third-party logistics business (don’t ask) and opened this joint about 8 years ago. 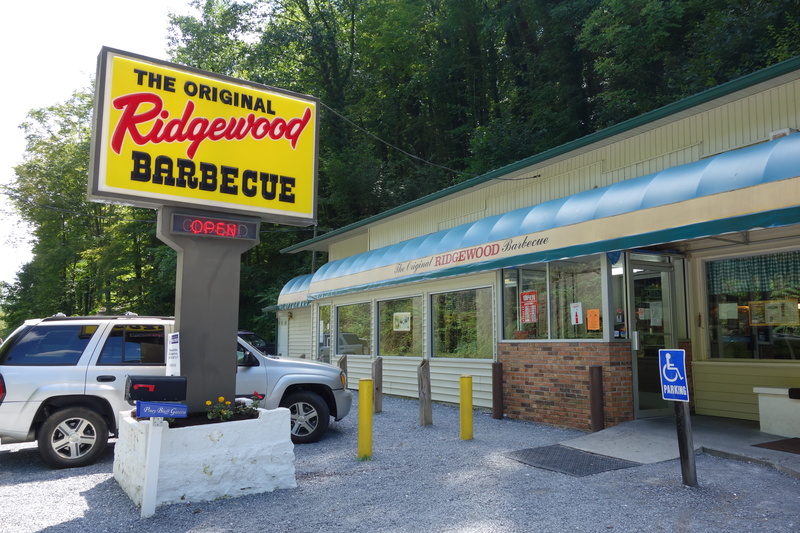 Then, we drove an hour to Ridgewood Barbecue (no website) in Bluff City, Tennessee, operating for sixty years now. It’s a bigger operation than Phil’s. The Ridgewood people claim to be the only place in the region that doesn’t use pork shoulder. Their pork sandwiches come from the ham. What got our attention, though, were the baked beans. They tasted of the smoke and the bbq sauce. I’ll skip over the third bbq joint not just because it was unmemorable but also because I don’t want give the impression that we were gluttons. 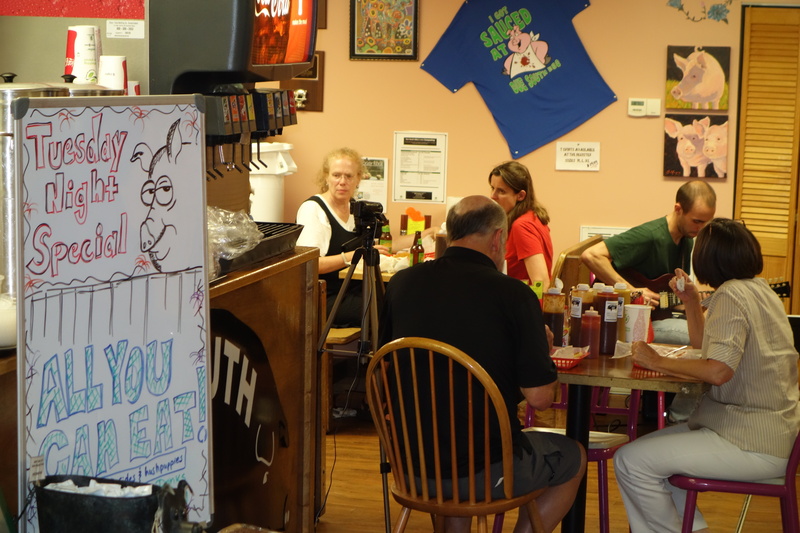 The last stop, Due South Pit Cooked BBQ in Christiansburg, VA was, by consensus, the favorite. Seriously, check out the website. Queasy as we were, how could we have passed up the chance to eat chicken that was smoked and THEN deep-fried? 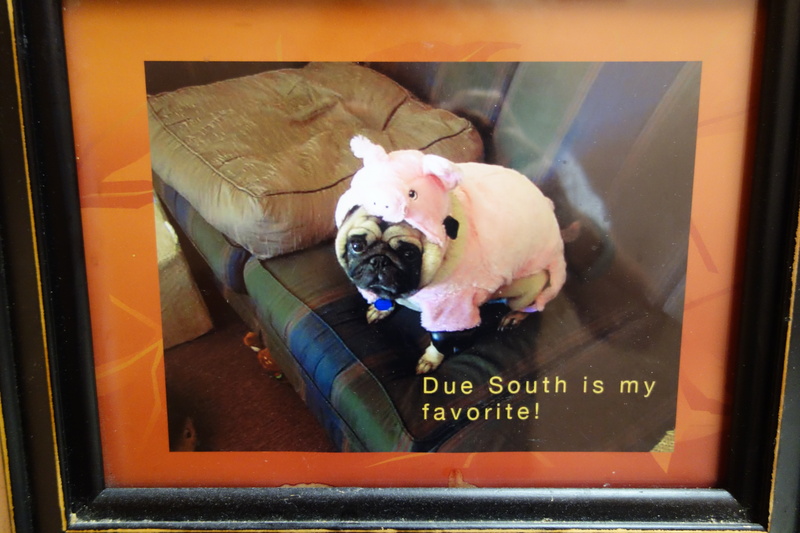 In addition to beans, slaw, and potato salad, Due South offers fried tomatoes, fried okra, hushpuppies, mac & cheese, sweet potato casserole. Making the entire visit sublime, two guitarists played Django-Reinhardt-swing music. The chicken was outstanding, by the way. More than 24 hours later, I’m still full. Boy, do I have a lot of reconstructive dieting to do on my ride home!